I am fed up with HTML email. I’m not sure if I just got one too many horrible emails with fuchsia comic sans text on a mauve background or white text on black background which becomes black text on black background after reply or forward. Or maybe it was the series of HTML email security disasters in Outlook 2002 from Office XP that could sploit you by just previewing a message. Probably both. Regardless, I started reading all of my Outlook email as plain text in early 2002. I rarely want to look at the messages in HTML. I just I want everything to be plain text by default. 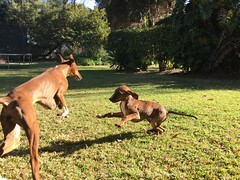 That probably makes me a tech curmudgeon but life is so much better this way. Phishing looks much more fishy in plain text because the evil URLs are exposed. The Internet Explorer (mshtml) HTML rendering engine is not invoked unless I specifically request the email to be displayed as HTML. Rendering plain text defeats web beacons and exposes tracking URLs that marketing people hide in HTML email to track your behavior. HTLM email is really most useful for marketing campaigns, hackers and phishers. The simplest way to opt-out of the target pool is to opt-out of HTML email. 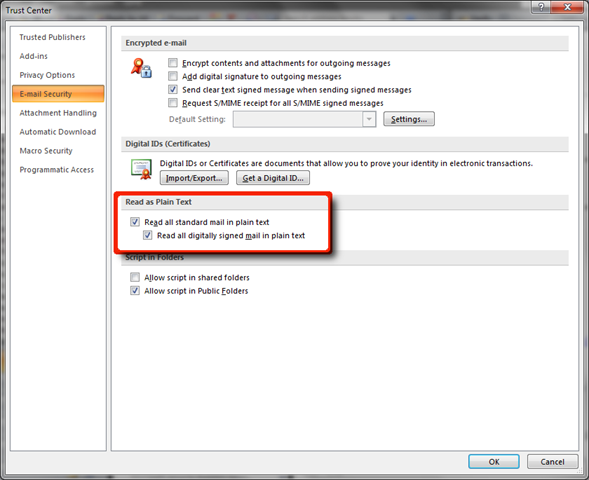 Since Outlook 2002 SP1, Outlook has the capability to string HTML from incoming messages and display them as plain text. It started out as a registry tweak when the feature was rolled out with SP1 for Office XP, but it is now a full-fledged option. Check the “Read all standard mail in plain text” option. 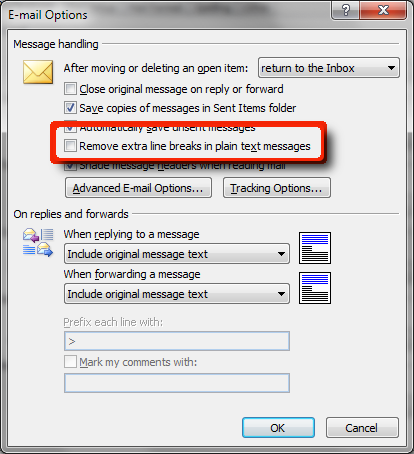 Outlook has a dubious feature whereby it attempts to remove “extra” line breaks from plain text messages by default. And I also don’t want Outlook to reformat my plain text because it messes up code, other deliberate formatting and PGP signed messages.